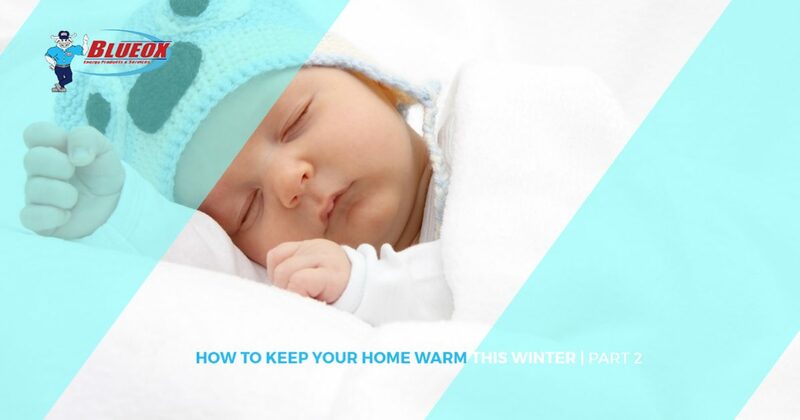 In our last blog, we gave you a few suggestions to help make your home stay warm during winter. In this entry, we have a few more tips that we know will be easy to put into practice. While each of these might not make a world-changing difference, when they’re added up, you can expect to see some extra money in your wallet! Give us a call at Blueox Energy in Oxford if you need help with your heater or furnace. Our highly trained HVAC technicians are ready and waiting to service, diagnose, repair, or replace your heater. We also offer fast, affordable delivery of home heating oil and kerosene. We are the area’s energy experts with the experience you need. Whether you’re living in a brand new home or an older place, programmable thermostats are a great way to help you save money and stay comfortable day and night. Though all thermostats will keep your temperature steady (as long as your heater is working properly), programmable thermostats give you much more freedom to control the temperature no matter what the conditions are like outside. One great way to use a programmable thermostat is to have separate settings for the day and the night. Since most of us are out of the house during the day, it doesn’t make much sense to keep your home at a temperature that is higher than it needs to be. To save some money, set the temperature to be lower during the day and open up your shades to allow the sun to help keep your home comfortable. You can program it to hit a certain temperature by the time you get off of work so you walk into a toasty and inviting house every night! Programmable thermostats also allow you to set thresholds. For example, you can tell the heater to stay off until the temperature dips to a certain point. This is a very useful feature to have if you don’t know what to expect in terms of cloud cover on any given day. It will also stop your furnace from turning on and off over and over again to maintain a certain temperature when you aren’t there. Apart from being another way of preventing damage to your pipes and other objects inside your home, the main purpose of your furnace is to keep you warm. One very easy way to use less home heating oil is to bundle up and set your thermostat to a lower temperature. While it definitely isn’t a good idea to keep your home at a temperature of just above freezing, lowering it five or ten degrees below your normal winter setting can have a very positive impact on your wallet. If you would like to try this method, give it a shot for a month and then look at your heating bill from the year before to see the difference that turning down can make! Call us at Blueox Energy in Oxford today for more information about our heating services!